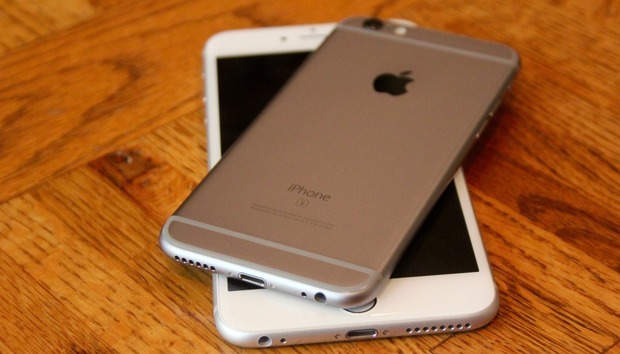 You probably have a general idea of which iPhone you have—iPhone 6, SE, 4s, X, and so on. But behind the marketing names, each iPhone configuration has its own model number. You normally won’t need to know this number, but it could come in handy if you ever need to get more technical details about your device. Here’s where you can find your iPhone’s model number—and what that number means. Apple uses two numbering schemes for its devices. The first, which we’ll call the “A” number (hat tip to The iPhone Wiki for the name) is a five-digit alphanumeric string that starts with the letter A followed by four numbers. The second model number is a five-digit alphanumeric string that usually starts with the letter M, though the first letter can vary depending on the device. You’ll sometimes—but not always—see “LL/A” or something similar appended to the end of this number. We’ll refer to this second number as the “SKU” in this article for clarity’s sake. What’s the difference? 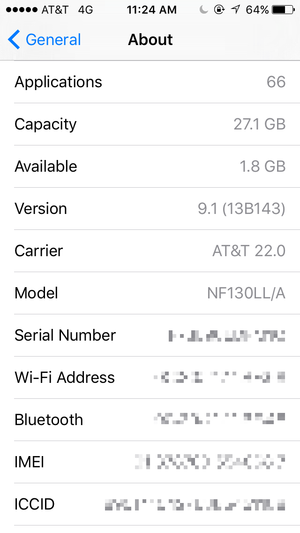 Basically, the “A” number is used to generally describe a model family (or revision thereof), such as the iPad Air 2 with LTE or the 13-inch MacBook Air. Meanwhile, the SKU is used to describe a specific configuration of that model (for example, the 13-inch MacBook Air with 256GB of storage). Put another way, the “A” number is a more general identifier, while the SKU is more specific. Now that we’ve got that out of the way, let’s get to checking those numbers. 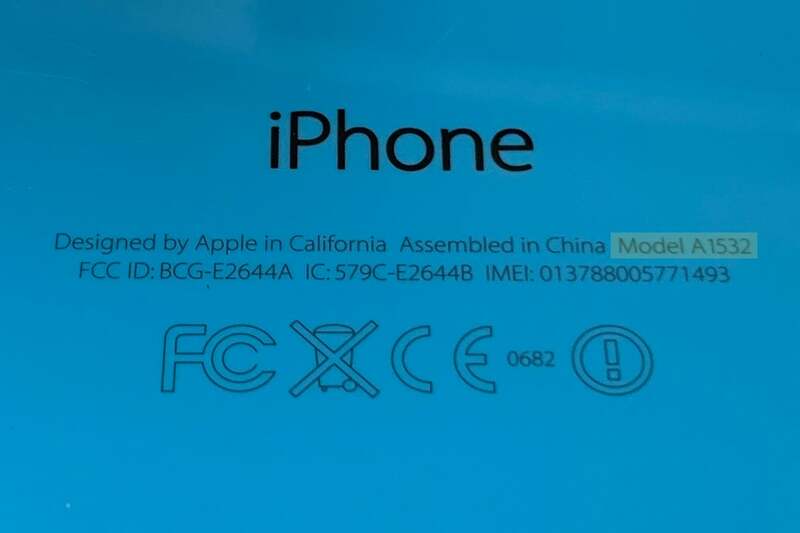 The model number (also called the “A” number) on the back of an iPhone 5c (highlighted). Finding the SKU: To find your phone’s SKU, go to your phone’s Settings app, tap General, then tap About. Scroll down to Model, and make a note of the alphanumeric string here. In my phone’s case, its SKU is NF130LL/A—the N denoting that it’s a replacement unit. Go to Settings > General > About to find your phone’s SKU. Starting with the iPhone 8, Apple stopped stamping the “A” number on the back. But that information is still on the phone—it’s inside the operating system. Here’s how to find both the “A” number and the model identifier. On your iPhone 8 or later, tap the Settings app. Tap on General, then tap About. Scroll down to Model; this is the model identifier number/SKU. To see the “A” number, tap on the Model number. It will change to a numeric ID starting with A. On the iPhone 8 or later, go to Settings > General > About to find your phone’s SKU. Tap it to see the A number. Now that you know your model numbers, you can punch that info into a Google or Bing search and see what comes up. Another great resource is The iPhone Wiki’s device models page. This page lists model “A” numbers for every iOS device, as well as each configuration’s SKU/model number. It’ll also give you a little information on Apple’s SKU numbering scheme that you might find useful.